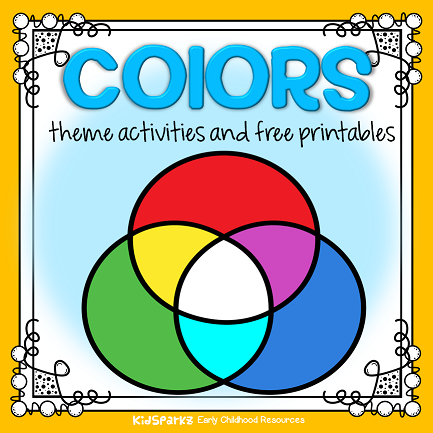 Here is a collection of activity pages and games to make that coordinate with the early childhood topic Colors, and can be used when planning activities and curriculum for preschool and pre-K children. Download instantly, in Adobe PDF format. Color GREEN recognition - find the things that are green. Color YELLOW recognition - find the things that are yellow. Color BLUE recognition - find the things that are blue. Color RED recognition - find the things that are red. Color PURPLE recognition - find the things that are red. Color ORANGE recognition - find the things that are orange. Color BROWN recognition - find the things that are brown. Color PINK recognition - find the things that are pink. Color GREY recognition - find the things that are grey. Color BLACK recognition - find the things that are black. Color WHITE recognition - find the things that are white. Color match backpacks - match backpacks with teddies - 11 pages. Cookies colors. - match cookies with cookie jars. Christmas colors - print 2 or more copies of these presents to make matching games and line patterns. Color words read or write the room center - 2 levels. Emergent reader to make and color - 10 color words, transportation theme. 36 pages - differentiated activities and centers for recognition and words. Color birds packet 10 pages, b/w. A bird for each of 10 colors. Kiwi, cardinal, egret, canary, snowy owl, flamingo, oriole, crow, parrot, jay. 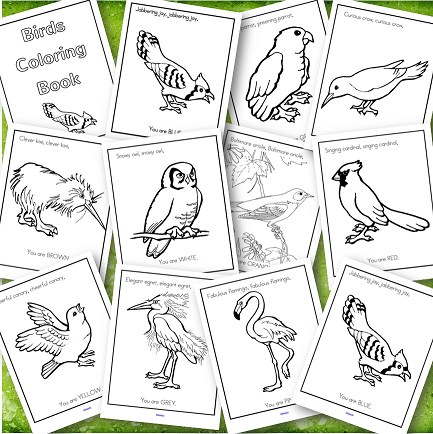 Set of full page OWLS colors posters - 11 colors , plus smaller flashcards and pages to color. Set of full page FLOWERS colors posters - 11 colors, plus flashcards and pages to color. Set of full page APPLES colors posters - 11 colors, plus flashcards and pages to color. Teach colors with lots of activities made using bright real-life photos! 46 pages. Foldable mini booklets to make for 11 colors in color and b/w. Dinosaurs color posters - 11 colors, 2 sizes, plus flashcards and coloring printables. 27 pgs.